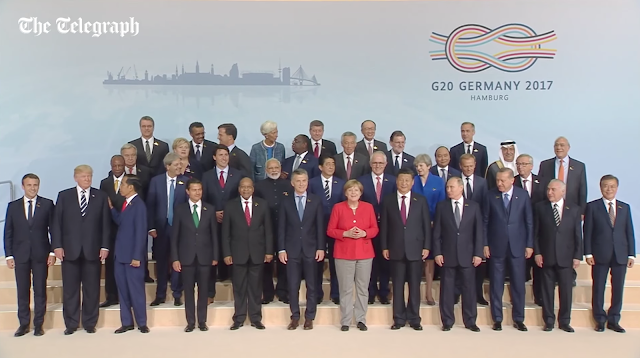 Emmanuel Macron's desire to stand in the front row, next to Donald Trump - and to be the center of attention during the group photo at the 2017 G20 summit made for an entertaining and viral video. And yet, if you look elsewhere in this group there are several less flamboyant but more telling nonverbal signals on Vladimir Putin (for his are subconsciously driven). Note the details on Vladimir Putin's face (lower left) - it is one of his default expressions. His central forehead is contracted and elevated (an "Elevated CFC") along with his inner (medial) eyebrows. Simultaneously the outer (later) portions of his eyebrows are vectored downward - AND his upper eyelids are significantly partially closed. 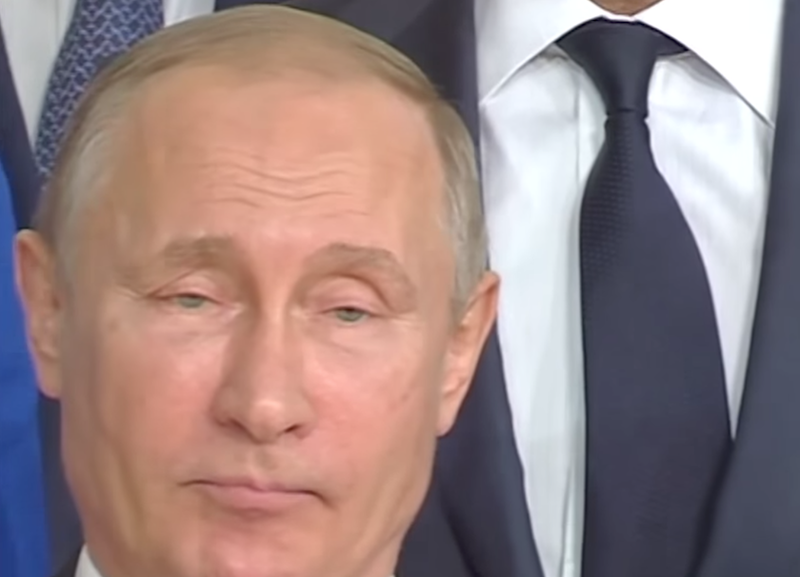 If you were unfamiliar with the Russian President, you may think his upper lids were passively "droopy" (medically known as "ptosis") - yet you'd be wrong. This is a dynamic change. Try configuring your own face in this same manner right now - it's difficult to do voluntarily (yet we all occasionally make this expression unconsciously). Trying to replicate this feels unnatural - for the two adjacent tissues (the central forehead/inner eyebrows - and the upper eyelids/lateral eyebrows) are pulling in opposite directions. 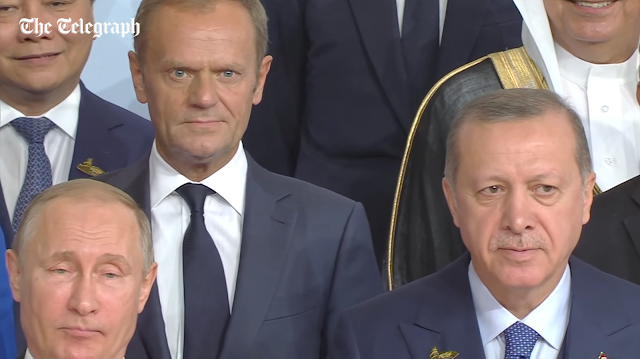 This nonverbal cluster is indicative of disbelief, arrogance, contempt - and yet it's an expression that many have difficulty recognizing (Note that all three of these emotions may be associated via other facial patterns). 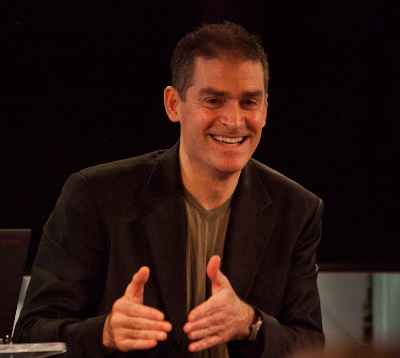 In this close-up, cropped view of the same image - a partially suppressed smile can be seen. Yet those who make this expression frequently have a very high correlation with antisocial personality disorder - known in more common colloquial, as a sociopath (Although it's also important to note that not all sociopaths will make this expression frequently). While not a required component for in this particular pattern of behavior - this intensity of this expression is amplified by the additional component of the partial upper eyelid closure. 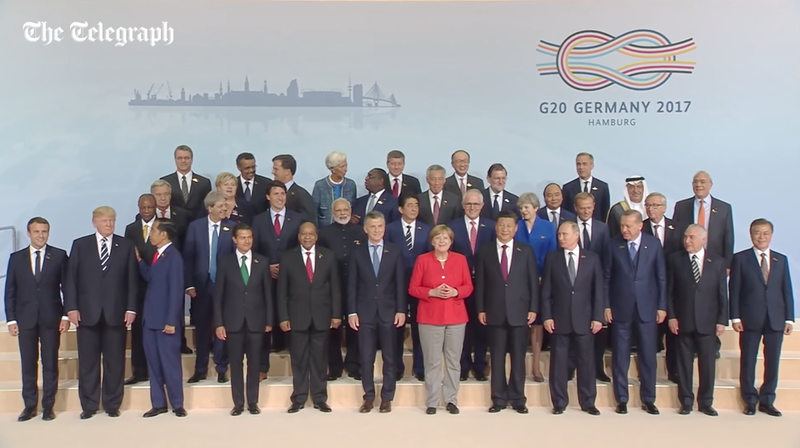 Another intriguing detail is exhibited by Vladimir Putin in this video is his stance (he is fourth from the right, in the front row). His feet are placed further apart than any other leader visible. The wider distance between his feet is even more significant due to Putin's relatively short stature. This is an alpha (even hyper-alpha) positioning. 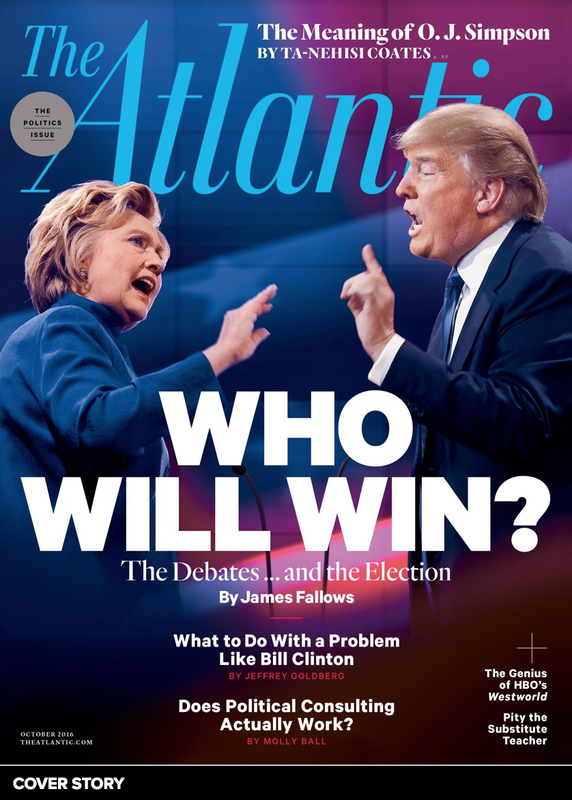 It's over-compensatory nonverbal behavior. Now watch the video again. During 1:15, just after Vladimir Putin and Angela Merkel exchange a few words, Putin elevates up on his toes for a split second. This dynamic is indicative of an adrenaline surge - and may be seen during positive emotions (e.g., excitement, joy, etc.) - but also during some negative emotions (e.g., anxiety).